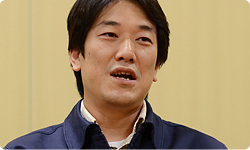 Fujibayashi-san, why did you appoint Iwamoto-san to be your “gang leader” for the sky game field? About that time, development of The Legend of Zelda: Spirit Tracks3, which Iwamoto-san had worked on as director, was finishing up. I heard he would join our team, so I didn’t waste a second asking him to be the sky gang leader. 3The Legend of Zelda: Spirit Tracks: A stylus-controlled action-adventure game released for the Nintendo DS system in December 2009. Iwamoto-san, what condition was the sky in when you joined? When I joined, it had been decided that there was one big island in the sky and you would jump down to earth through a hole in the clouds. We thought of different methods of moving around, but since it’s a sky, using a bird only seemed natural. We tested a number of things and wanted to make it so you could fly anywhere you wanted. Well...yes. I decided I had to. At the end of a process of trial and error, it turned out the way it is now. 4The Legend of Zelda: Phantom Hourglass: A stylus-controlled action-adventure game released in June 2007 in Japan as the first title in the Legend of Zelda series for the Nintendo DS system. It’s surprising how course selection in Super Mario led to that bird. 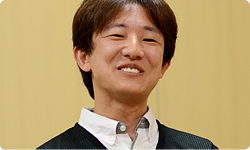 In addition to course selection and being able to fly the bird wherever you want, Iwamoto-san put lots of islands in the sky and packed in all kinds of gameplay. So that’s how the sky ended up dense, too. 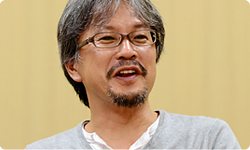 Aonuma-san, what was the reason you became a planner? It came about when, thanks to Iwamoto-san’s participation, what we discussed earlier about the sky had settled down. No? (laughs) Well, thanks to the hard work of the designers, the island in the sky, named Skyloft, gradually came together. Video: This time, Link is going to the Knight Academy and is living in the dormitory. This time, Link is going to the Knight Academy and is living in the dormitory. It’s a somewhat elaborate setting, so I wasn’t sure it would be alright, but when it had come together somewhat, I had Iwamoto-san show me the game from the beginning. And to be honest, it was no good at all! Aonuma-san, you cut the story too short! Yes, like that. (laughs) But I could see that if it hadn’t come together to a certain extent by that point, when Miyamoto-san came in, he would ask, “What have you been doing all this time? !” I was worried. Oh, I see. (laughs) Miyamoto-san is strict when it comes to the beginning. No matter how great what comes afterward is, if the beginning doesn’t grab the players, then he tells you flat that the game is no good. Yes. I’ve experienced that multiple times. You raised your hand and volunteered to be a planner. Um, I’d like to offer an explanation. An important point this time is how Skyloft is one big hub from which you descend to the various game fields and to which you must then return. At that time, we had to create the overall image of Skyloft and the sky and I just couldn’t get around to the beginning. If I may add to that, you play in Skyloft multiple times, just as much as the other game fields, so it had to be dense too. That’s why Iwamoto-san couldn’t get around to the beginning. And our plan went off without a hitch. Well, everyone really did look like they were having a hard time. And you just couldn’t overlook it? That’s right. 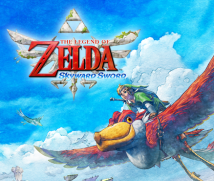 I’ve worked on The Legend of Zelda all the way up until now, and not one time has it not been difficult, but more than ever before, this time, everyone was saying, “This is hard!” Part of me wanted to experience for myself just how hard it was. How was it once you dove in? Hard. Harder than ever before. We used a special tool for development this time so planners could do all sorts of things. Before, planners would ask the various people in charge to work on character dialogue and the timing of events, but this time the planners could, to a certain extent, take care of such things themselves. In other words, what we would usually ask the programmers to do, we could do ourselves. But that way, since you can do anything yourself, you’re alone up until the very, very end, taking pains over it. In other words, you can’t ask someone else to tie it up all nice and neat for you. Once you embrace it, it’s really hard. It is extremely difficult to say whether this way of doing things is good or bad, but it does have the merit of drastically reducing loss of time during debugging. On the other hand, it makes dividing up the work difficult, so the burden on each person gets really heavy. You can do anything yourself, but for that reason you have to do everything yourself. Yes. In addition, there was no one more suited to making the beginning. But Fujibayashi-san’s stratagem was successful. It was a major success! (laughs) Thanks to that, the beginning turned out really well. Aonuma-san, as a planner, how satisfied are you with the parts you worked on? In the end, Miyamoto-san corrected a lot, but I think the characters who appear toward the beginning turned out to be quite vivid. I’m glad I did it. That’s right. We were able to properly portray the characters who appear at the Knight Academy, so I hope players will enjoy the school life there with such a variety of characters appearing.